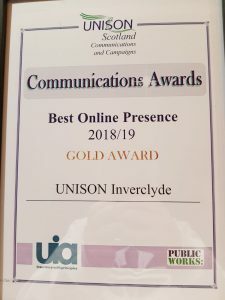 Unison Inverclyde was delighted to accept the UIA Gold 1st prize in the Best Online Presence category in this year’s UNISON Scotland communication awards at Unison Scottish Council today. 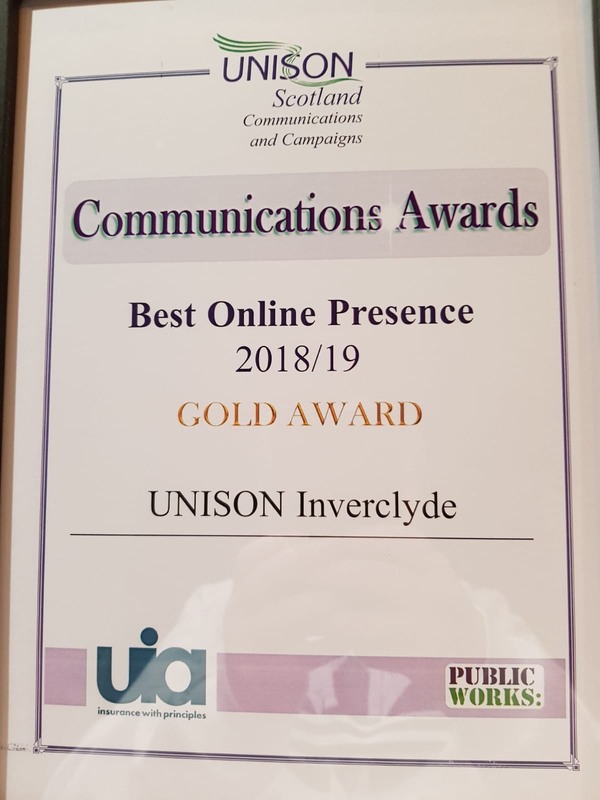 Communications Officer Dougie Maclean said “It’s great for the Branch to receive recognition for all the hard work that the Branch Stewards and Officers do. Our Social Media platforms will continue to have an important role in getting information out to our members this year with the Council Budget ahead of us and also highlighting the important issues for our members in the other employers that the Branch covers”. 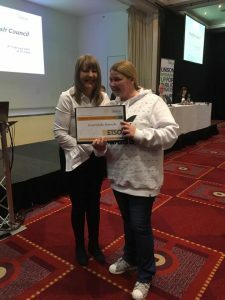 Branch Official Christine Allan is pictured above accepting the award from Scottish Convener Lilian Macer at Scottish Council today.